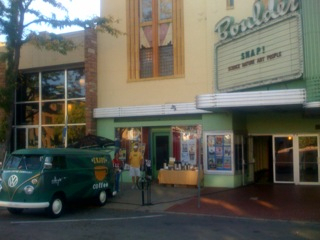 Fresh complimentary Allegro coffee out the front of Boulder Theatre. A good night last night catching up with friends from last year's gathering. All set for a great day.